Under the direction of Lewiston hip hop choreographer W. Barry Dean, student dancers will perform an original piece commissioned for King's birthday, "Content and Character," at 7:30 p.m. in the Olin Arts Concert Hall, followed by an hour-long gospel and dance presentation by the Boston based ensemble Hope and a Future, led by critically acclaimed Boston vocalist, educator and minister Wanda Perry-Josephs. The public is invited to these performances free of charge. According to a recent feature in The Boston Globe, "With heart and soul three Boston singers, who once flirted with fame, are now lifting their voices heavenward." One of those is songwriter Wanda Perry-Josephs, an educator in the Boston public schools and a minister at the Bethel AME Church of Boston, serving under the direction of the Rev. Ray Hammond and the Rev. Gloria White Hammond. RCA released "All of Me for You," the first hit single for Perry-Joseph's group 9.9. The 1985 recording bolted to the top of the billboard charts domestically and abroad. Trained at the Elma Lewis School of Performing Arts in Boston, Perry-Josephs, along with Leslie Jones and Margaret Furtado, performed for nine years as 9.9, including recording work with Joe Frazier, Richard (Dimples) Field and Patti Labelle, before signing their RCA contract. After completing their second album "Almost Perfect" and three videos, Perry Jospehs made the difficult decision to move on. Facing international acclaim, Perry-Josephs found new inspiration and heard new lyrics from spiritual and religious sources. Turning toward service in her community, reaching out to the outcast, visiting the prisons and the sick, she began to share her original compositions at a variety of youth rallies, including those sponsored by Bruce Wall Ministries, Joe Fitzgerald of The Boston Herald and WBZ news anchor Liz Walker. 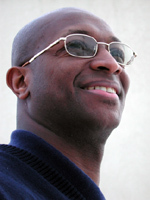 Perry-Josephs continues to sing, teach and preach in various workshops and conferences. Perry-Joseph's latest CD project "Hope and A Future" is also the name of her new production company as well as the vision she has for her community. "I am expressing this vision through my own brand of contemporary inspirational music, endeavoring to continue to develop, renew and restore hope and purpose in as many lives as possible."